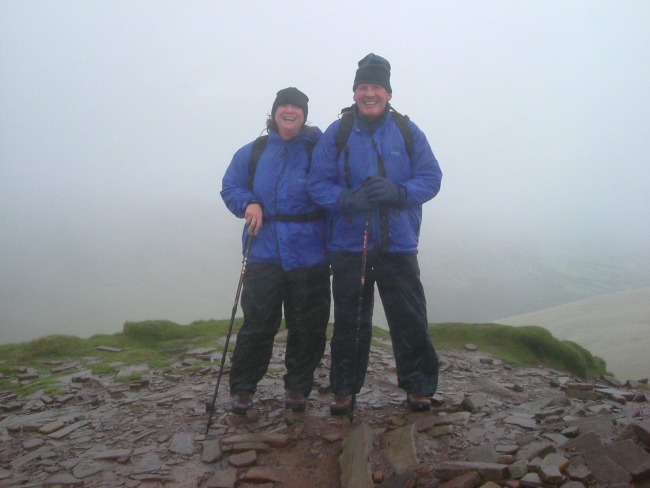 We have lived in Cardiff for over 40 years and have walked most areas of the Brecon Beacons, The Black Mountains and The Black Mountain. 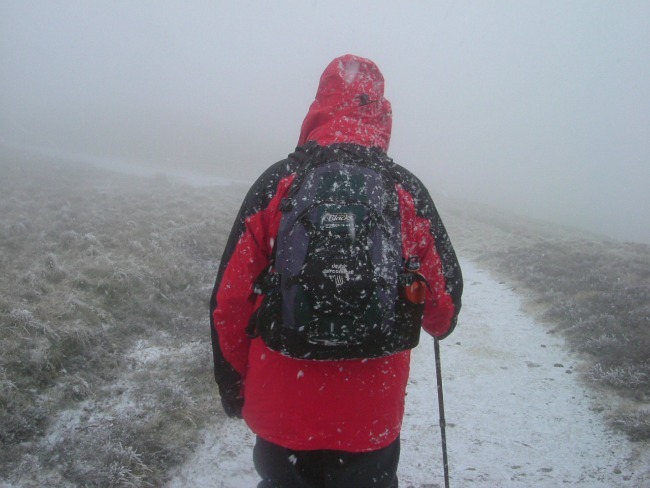 We have walked the mountains in fog so thick we couldn't see each other and in snow that was two feet deep. We only got lost once. In the Black Mountain on a beautiful sunny, summers day that rapidly turned nasty despite the favourable weather forecast. We had a new GPS, maps and compass but we both needed glasses to read them and we couldn't read any of them in the fog and blinding rain. There are no paths or landmarks. It was scary but we navigated our way out and lived to tell the tale. Craig Cerrig-gleisiad is a very familiar walk for us, along wide tracks many with walls and fences marking the route. We are safe even in thick fog, if we get lost (unlikely) then we can just walk down hill until we reach the wall then follow it back to the car park. Before you set out always check the weather forecast, I mean ALWAYS. It can be fine and sunny when you start out and fog and rain within minutes. Mobile phone signals are not reliable and many areas have no coverage at all. 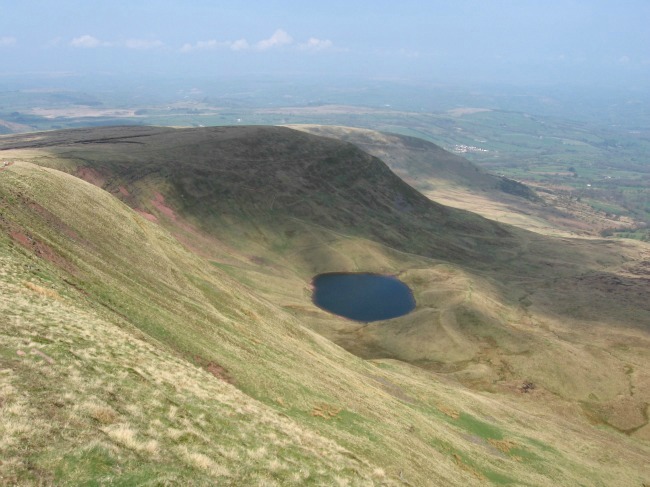 Also be prepared, check my list before you go walking in the mountains in South Wales. This is the Brecon Beacon weather forecast for Monday 14th August. Not the best forecast with poor visibility requiring good navigational skills. I love the mountains. We wild camped in our youth, got lost in mist and had so much fun. We stopped walking because Grandad needed a new hip and he couldn't walk so far. We are now trying to walk every week but the weather forecast hasn't been good, (see above for this Monday) I do not mind the rain but it is the risk of thunder and lightening that worries me. 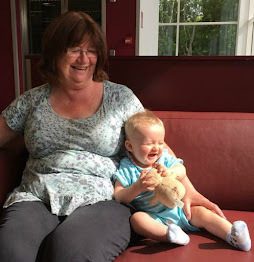 We can only go on certain days when we do not have our grandson so haven't walked for a few weeks. It's better not to go than to get into trouble. Recently two people have died on the Snowdon Mountain Range. Often it is visitors to the region, they have a weekend of walking planned and so go regardless (I am not saying it was this reason this time at all). Locals have the luxury of waiting until the weather improves. Walk like a local, only go if the conditions are good. Take care and enjoy your walks. Proper walking boots that will keep your feet dry and support your ankles. In the summer when the forecasts are good I have walked in walking sandals but only routes that I know are suitable. Take a map of the whole area not just a printed line drawing of the route and spend some time learning how to read a map. Practice on the more popular, well defined routes before tackling the harder ones. The map needs to be at least 1:25 000 such as OS Explorer. Keep track of your position on the map even in good weather, if it suddenly turns foul you need to know where you are. That's what got us out of trouble. A compass. The GPS lost signal so we'd have been stuck. Again learn how to use one before venturing off the beaten track into the wild. Always carry spare batteries/battery pack, if you do have a signal the last thing you need is for the GPS to die on you. Waterproofs. It rains in South Wales all the time. Take a waterproof coat and in the winter leggings too. Layers are best. In winter thermals, hat, gloves and clothes that are quick drying. Breathable fleece is good it stays warm when wet. Not denim jeans! If they get wet they will take forever to dry and you will freeze. If you cannot read without your glasses (like me) seriously think about taking a small foldable umbrella. I found it almost impossible to wipe the rain from my glasses whilst holding a compass and a map. Take some snacks and plenty of fluids. We always took a picnic and then sat in the mountains having lunch. Brilliant. For use in emergencies a head torch is easiest as both hands are free. The whistle is to help direct rescuers to your position. There are huge areas without a signal but I would always carry a phone and ensure it is fully charged before you set out. Great for photo's and the time too. In winter a watch is essential so you get off the mountain in plenty of time before darkness falls. At the very least carry plasters for those sore bits before they become blisters. Some sun screen for summer. Insect repellent too. In winter add a survival blanket and hand warmers, the type you shake to activate. A comfortable rucksack that you can carry. Not so big you over fill it and struggle to walk, just enough to put your essentials in. Make sure it is waterproof or carry a waterproof cover. We just have one each. They are invaluable when crossing streams and coming down muddy hillsides. It's raining and we're smiling. 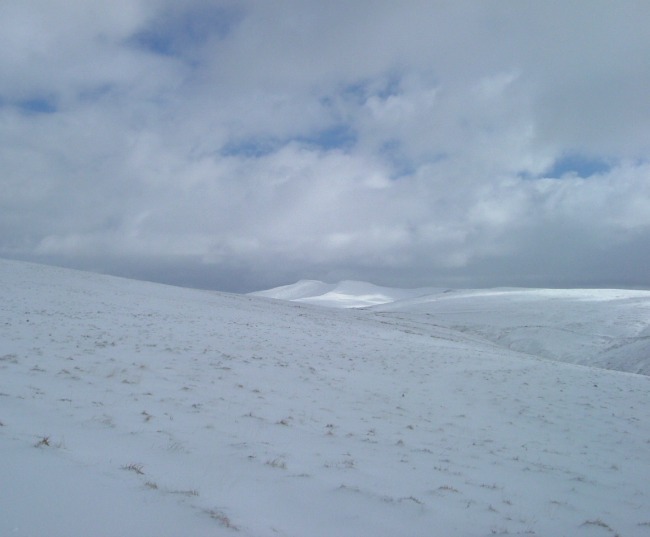 This is the top of Cribyn. Enjoy the mountains and tag me in your pictures on Instagram (@bearandcardigan) so I can walk with you.